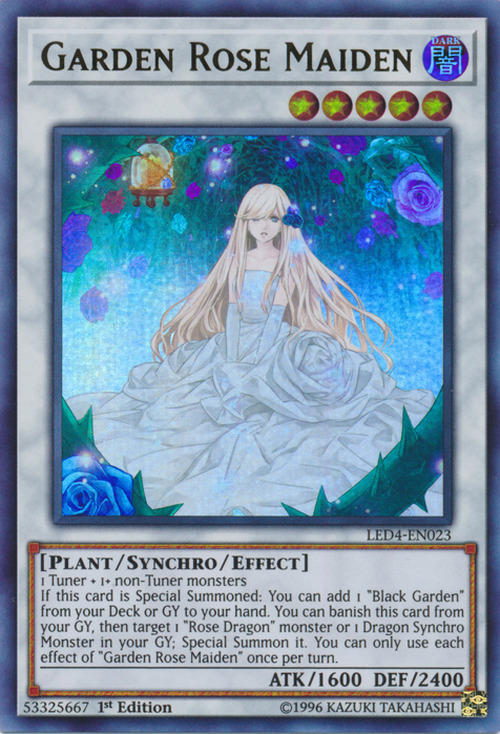 The rose lantern that “Dark Rose Fairy” is holding appears in this card’s artwork. The garden this monster resides in is “Black Garden”. 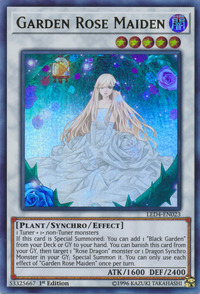 This is the first member of the Field Searchers to belong in the Extra Deck.